The Foothill Clubhouse was designed by Julia Morgan. Morgan was the first woman licensed as an architect in California, the first woman to receive an engineering degree from UC Berkeley and the first woman to graduate in architecture from the École des Beaux-Arts in Paris. The Saratoga Foothill Club was Julia Morgan's first commission for a private Women's Club and only one of two during her professional life. 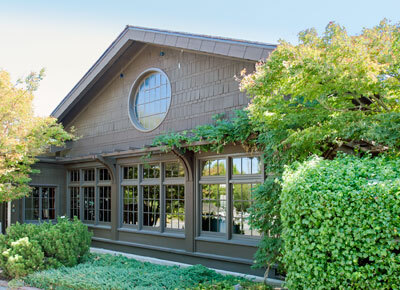 The other was the 1918 Sausalito Women's Clubhouse.